Experienced Colorado DUI DWAI Defense Lawyers know that an individual’s first exposure to the criminal justice system may be a DUI – DWAI charge. The careful handling of these cases has a critical impact on the lives, families and careers of these people and a responsible choice of a Colorado criminal defense lawyer maybe one of the most important decisions you make in your lives. 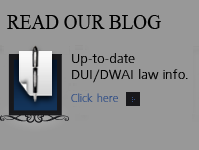 First-time DUI – DWAI -DUID charges can be intimidating and overwhelming. You are most probably distressed and worried about what will happen to you. Will you lose your license and ability to drive to work? Will you go to jail? What will the financial burden be? How long will the legal process take? 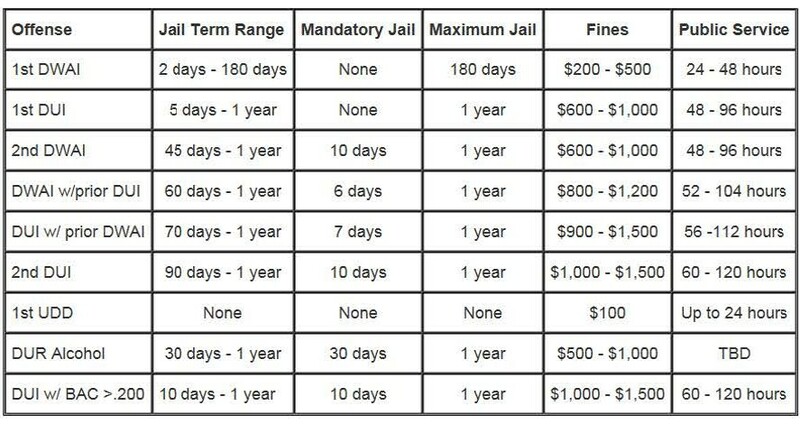 If you been arrested for DUI -DWAI or DUID (Drugs) In Colorado …understand this.. If it is your first time being arrested for a DUI, the Steinberg Colorado Criminal Defense Law Firm wants you to understand that there are viable defenses and effective plea bargains that an experienced Denver Colorado DUI lawyer can aggressively pursue on your behalf. After your arrest – there are two separate and distinct legal actions that must be resolved. The First Legal Action is taken is by the State of Colorado Department of Revenue – Division of Motor Vehicle – this is to attempt to suspend your driver’s license based on the amount of alcohol in your blood or a refusal to take the blood or breath test. The Second Legal Action in time is the prosecution of the criminal offense or offenses charged in the criminal complaint against you. Our law firm is prepared and ready to assist you in both legal areas. Penalties for conviction on a first time DUI can vary greatly. ….. These penalties can severely hamper your ability to go to school or work and do the everyday actions of life. They make it all the more important to obtain competent legal assistance. The penalties that you may face for Colorado DUI – DWAI conviction will depend on a number of factors including your BAC (blood alcohol content), whether there was an accident, your driving patterns, whether or not a child was involved in the crime, and your criminal history among other factors. While you will still face harsh penalties for a first conviction, the penalties for a second and subsequent offense are far more severe. While penalties for a first time DUI conviction are typically less than for subsequent DUIs, they can still be severe. Aggravating circumstances – such as those described – can also result in a significant increase in penalties even for a first time offense. â€¢ Mandatory participation in an alcohol/drug education program. One of the most important steps to take in defending against a DUI case – is to request a DMV Hearing to prevent the suspension of your driver’s license. You have 7 days after your arrest to do this and our firm can represent you at the hearing. The very next step involves an investigation into the circumstances of your arrest, including why the office pulled you over and all other procedures that must be followed for you arrest to be legal. 1. The Initial Arrest – starting with the initial arrest – why were you were pulled over? The DUI investigative procedure begins when a Colorado law enforcement officer spots a driver who he or she believes has violated a traffic law or appears to be swerving or showing some other indication of intoxication. 2. The Observations of Alcohol Intoxication – The Field Sobriety Tests – After pulling the driver over to the side of the road, the officer will look for outward signs that may indicate that the driver is under the influence of alcohol or drugs. The language in the reports is always the same – bloodshot eyes, slurred speech and the smell of alcohol are examples of what the officer may look for. The next step has the officer asking you to perform one or more field sobriety tests, and depending upon the driver – while you have the absolute legal right to refuse these roadside tests – for some reason – probably ignorance of your rights – you will take them. After your performance – you will never pass – intoxicated or not – the officer will make an DUI arrest. It is well established that such field sobriety tests are often unreliable or improperly administered. Challenging the results of these tests may play a critical role in your DUI defense. If such evidence is not allowed – found to be inadmissible, it is much harder for the prosecution to get a conviction. 3. 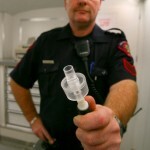 The Breath and or Blood Test – After the arrest, the driver will be asked to perform a breath test or blood test to determine your blood alcohol concentration. The final step would be charging the driver with DUI, based on the result the breath or blood test showed. Your lawyer should and will examine the evidence for errors in the administration of all of these so called tests. 4. Proof Beyond A Reasonable Doubt of Intoxication – the prosecution must prove beyond a reasonable doubt that you are guilty. This must be proven beyond a reasonable doubt through your driving behavior, your physical appearance, field sobriety tests, and the results of any chemical test. If any one of these factors cannot be proven, the case is subject to attack and the charges against you could be dropped by the DA or the judge or jury at a trial. An experienced and competent Colorado DUI Lawyer may be able to uncover a violation of your rights or a mistake made by a law enforcement officer that will offer sufficient grounds to file a motion to suppress evidence or negotiate with the prosecuting attorney to have your charges dismissed. In the case of a Colorado DUI charge and keeping in mind the potentially harsh penalties that are associated with a DUI conviction, it is important to act quickly and review your options in challenging these charges with an experienced Colorado DUI lawyer. Don’t give up and throw in the towel – I recommend you contact a private lawyer who has almost three decades of experience under his belt, including fourteen years as a former prosecutor. 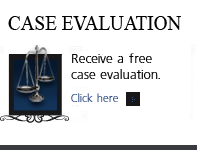 Experience at that level may make all the difference in the swift and favorable resolution of your case. As a result of a DUI conviction, insurance payments may temporarily increase, because you are now represent a greater risk to insurance companies. Your future may also be in jeopardy since without a license it will be harder to get to and from any job and with a criminal record, finding employment or moving up within a firm may now become more difficult. The consequences of a DUI conviction can affect you or your family or both for the rest of your life. A DUI conviction can jeopardize your ability to gain quality employment or obtain or maintain certain professional licenses. Ask yourself if it is worth taking the risk of going it alone. If you or a loved one has been charged with a first offense DUI in Colorado – you should immediately speak to Colorado DUI Experienced Criminal Defense to receive a free consultation and to protect your rights. Aa noted above – for many people, getting arrested for a DUI is their very first experience with the criminal justice system and it can be both an embarrassing and stressful time. Without a doubt, the responsible decision is to have a lawyer at your side before you make any sort of statements or explanations to the DA or the Courts. Facing a first DUI offense? 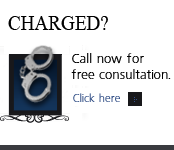 Contact an experienced Colorado DUI Lawyer ?- H. Michael Steinberg for effective legal help today. Aggressive DUI Defense for a 1st DUI In Colorado. Colorado DUI – DWAI lawyer H. Michael Steinberg takes pride in providing his clients with exceptional DUI defense representation, personal attention, and dedication. From the initiation of the case – (H. Michael – NO ONE ELSE – touches the case) – will work hard to build a strong defense case by conducting a thorough investigation, interviewing witnesses and credible experts, and collecting evidence and testimony that works in your favor. When you are in court, Mr. Steinberg will challenge the prosecution’s evidence and other accusations and also negotiate aggressively to have your charges reduced or maybe thrown out completely. When out of court, he understands that you will probably not know the answers to many questions that you have about your driver’s license, the Colorado DUI Court process, the possible penalties, and many other issues. H. Michael maintains six web sites and three blogs on many topics of Colorado Criminal Law and he is here to not only fight for you but to answer any questions you may have to assure that you feel comfortable through out his process. He understands that it is a difficult charge to face and tries hard to relieve his clients of the worry and stress that goes along with a Colorado DUI charge. DUI’s do not happen to criminals, anyone can be arrested for a DUI. It is a matter of a mistake in judgement – you may go to a party or dinner and have a few drinks, and the alcohol you consume may impair your judgement – helping you to believe you are safe to drive. It happens – you may then be stopped and then arrested for DUI… it is terrifying.